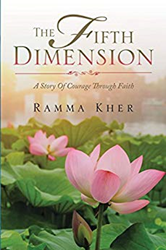 Blending fiction with fact challenges readers on both intellectual and emotional levels as they follow Meera on her path to finding stability and peace. Meera emigrates from India to Canada as a newlywed, but her husband dies within months. Her dear friend, Jane, commits suicide soon after. To fulfill her last wishes, Meera adopts Jane’s illegitimate son, Rishi. Jane’s ruthless and wicked mother, Helena, has Rishi in an immoral and convoluted web of deceit. “Blending fiction with fact challenges readers on both intellectual and emotional levels as they follow Meera on her path to finding stability and peace,” stated The US Review of Books. Constantly striving to preserve some semblance of beauty and truth in her turbulent life, Meera’s story is about sacrifice, struggle and survival, decrepitude and triumph, and pain and transcendence by the Spirit, the Fifth Dimension.